Considering getting a Miniature Schnauzer? 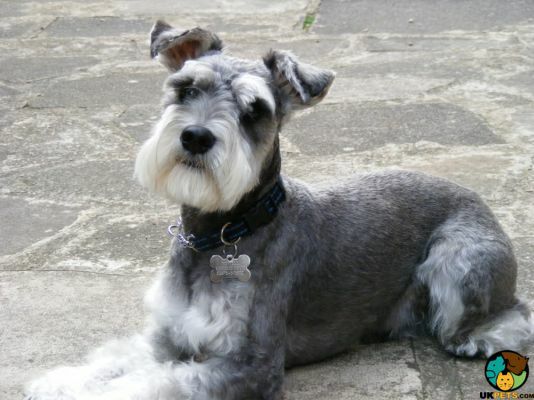 The Miniature Schnauzer is believed to have been developed in the 19th century in Germany. It is a mystery whether it was bred through selective breeding of small Standard Schnauzers or crossed with smaller breeds. This small pooch is registered with The Kennel Club under the Utility Group. 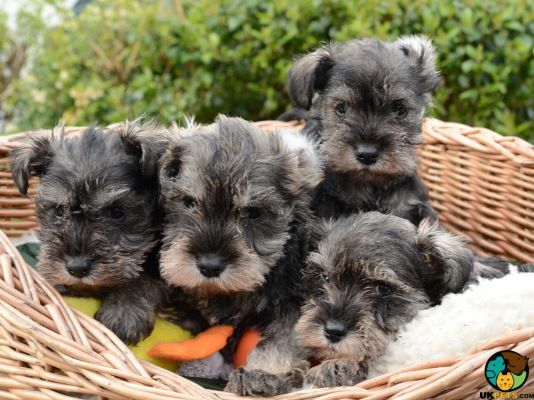 Are you itching to take home a Miniature Schnauzer? Allow us to give you a brief background of this adorable and enthusiastic dog. The origin of the Miniature Schnauzer is a bit of a mystery because of varying claims that lack evidence/records. It is believed to have been bred during the mid to late 1800s in Germany. Some experts say that it was developed by selectively breeding the smallest puppies of the Standard Schnauzer. Others argue it was crossed with smaller breeds like the Affenpinscher, the Pomeranian and the Poodle, among others. 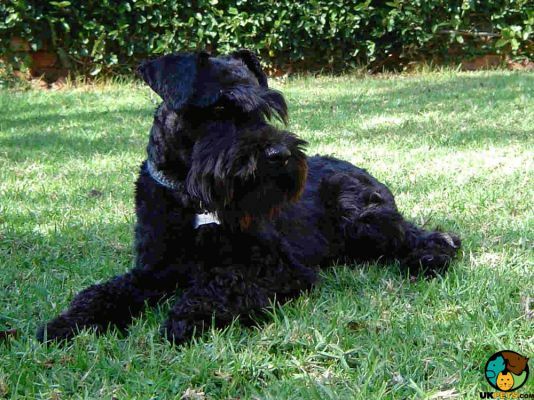 The first recorded Miniature Schnauzer was a black-coloured female named Findel in 1888. The breed became popular for its endearing appearance and excellent watchdog capabilities without being aggressive. The first breed club was formed in Germany in 1895 but included different types of dogs. The Mini Schnauzer was officially recognised as a breed in its own right in 1899. It arrived in the USA in 1901 and in the UK thereafter. It was only recognised by The Kennel Club in 1948. The breed remains to be a popular choice as a family companion all over the world. The Miniature Schnauzer is a small, sturdily built and robust pooch with identifiable bushy eyebrows, moustaches and whiskers. Weighing 12 to 20 pounds and standing 30 to 36 centimetres at the withers, it displays both an athletic and stylish appearance highlighted by its well-proportioned and broad head. It has a flat forehead, well-muscled cheeks and a medium stop, as well has a powerful muzzle and a black nose with open nostrils. It also has dark, oval-shaped eyes, set-high, V-shaped ears, a strong jaw with a perfect scissor bite, and tight lips. 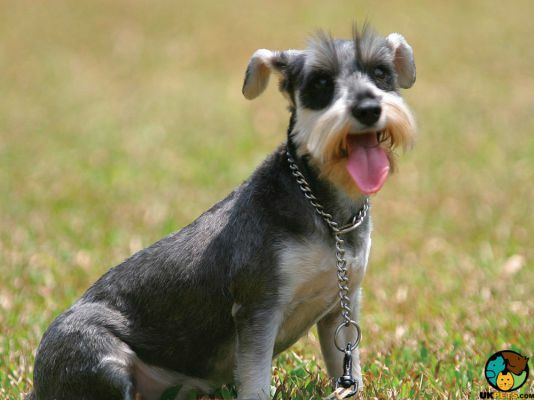 The Mini Schnauzer is covered in a harsh, wiry, short outer coat and a dense, soft undercoat. The hair on its skull, neck, shoulders, and ears look clean, while it is harsh on its legs. The furnishings are thick but do not feel silky to the touch. According to KC standards, the accepted colours for the Mini Schnauzer are black, black & silver, white, and pepper & salt. The Miniature Schnauzer’s medium-length coat requires professional grooming for hand stripping and clipping several times a year to make grooming at home more manageable. Its wiry and harsh coat needs to be brushed at least twice a week to remove tangles. The hair on its face also needs to be cleaned every after feeding. The Mini Schnauzer’s ears also need to be checked and cleaned regularly to avoid wax build-up. Its nails can be trimmed at the groomer’s during its visits but when you hear clicking sounds on the floor, it needs to be cut at home as overgrowth can be uncomfortable or lead to cracking. Lastly, brush its teeth twice a week to avoid dental problems that small dogs are prone to. Mini Schnauzers are alert, lively and affectionate. 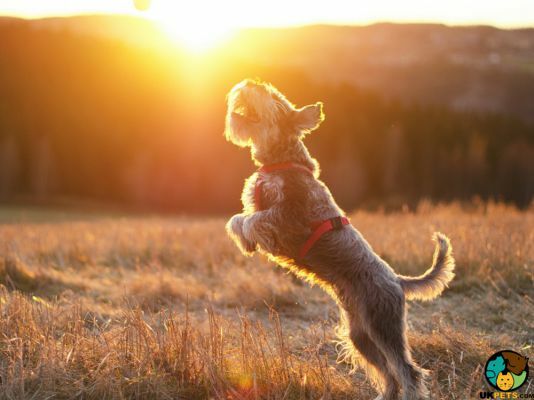 As adaptable dogs, they thrive in a home environment but because of their energy, they can also do well with people that lead active, outdoor lives. They are recommended for first-time owners as long as they immediately start training upon the dog’s arrival. Basic rules need to be set and the alpha role needs to be taken by the owner so it knows whom to turn to for guidance. This will also curb its stubborn streak. The breed is calm and tolerant with kids of all ages, although adults should always keep an eye on interactions and teach children to treat pets with love and respect. It can get along with any type of pet especially when raised with them. However, care must be taken regarding other people’s pets. It is advisable to avoid introducing new small animals to them altogether. The Mini Schnauzer is easy to train given that it is enthusiastic, intelligent and eager to please. When properly trained and given enough exercise, it can be left alone at home, although it should not be too long. It tends to be wary of people it does not know and would prefer keep its distance and usually does not show any sort of aggression. It is a good watchdog as it is quick to alert when there are strangers in the property. A typical serving for an adult Miniature Schnauzer is 1/2 to 1 cup of excellent quality dry dog food per day. Factors such as age, size, activity level, build, and metabolism affect the amount of food and frequency of feeding. 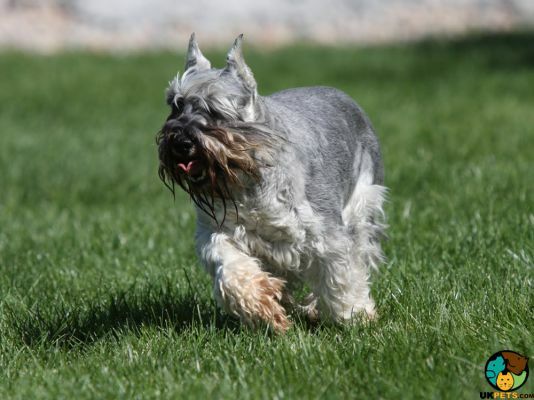 Owners need to understand the basic nutritional needs of their Mini Schnauzer as a breed but they also have to consider the unique characteristics of their own dog. The Miniature Schnauzer’s diet should be composed of limited ingredients that is high in animal protein from beef, lamb, chicken or bison. Stay away from cheap generic brands found at supermarkets as they usually contain artificial colours and preservatives. To maintain its beautiful coat, also include Omega 3 and 6 fatty acids in their diet. The Miniature Schnauzer is generally a healthy dog with an average lifespan of 12 to 15 years. Unfortunately the breed is known to suffer from a number of hereditary and congenital health issues. While not all Mini Schnauzers will acquire any or all of these diseases, it is important to be aware of them. They include Cataracts, Diabetes, Demyelinating Polyneuropathy, Renal Dysplasia, Fatty Tumours, Adenomas, Mycobacterium Avian Complex, Progressive Retinal Atrophy, Urolithiasis, Von Willebrand’s disease, and Schnauzer Comedone Syndrome. The Miniature Schnauzer is a high-energy dog that requires a minimum of 40 minutes of exercise per day. It will be happy to accompany owners in their outdoor activities such as walking or hiking, and would enjoy playing games with them in a fenced yard. If its energy needs are not met, it can show destructive behaviours and even begin to develop separation anxiety. If you are interested in purchasing a well-bred Miniature Schnauzer, prepare to spend around £300 to more than £1,000. The next step is to find a reliable yet affordable pet insurance, which will cost between £25 and £40 for basic coverage. Initial expenses for basic equipment will be around £150 to £200, while food costs for this small dog will set you back £20 to £30 per month. You also have to factor in grooming expenses, taking you around £30 per visit, depending on the services you avail. An important yet expensive aspect of dog ownership is veterinary care (routine check-ups, vaccinations, and other preventive medications), which can add up to £800 a year especially if your pet needs to be neutered or spayed. Is a Miniature Schnauzer Right for You? The Miniature Schnauzer is an adorable dog that is alert, lively and affectionate. It is wary of strangers, quick to alert when people it does not know are in the property. It is high maintenance in the grooming front. This breed loves children of all ages and gets on well with other pets it grows up with. When it comes to exercise, it needs at least 40 minutes of physically and mentally stimulating activities per day.